Finally spring 2019 is in full swing and I’ve partnered up with LOFT to make sure you tackle spring in style. 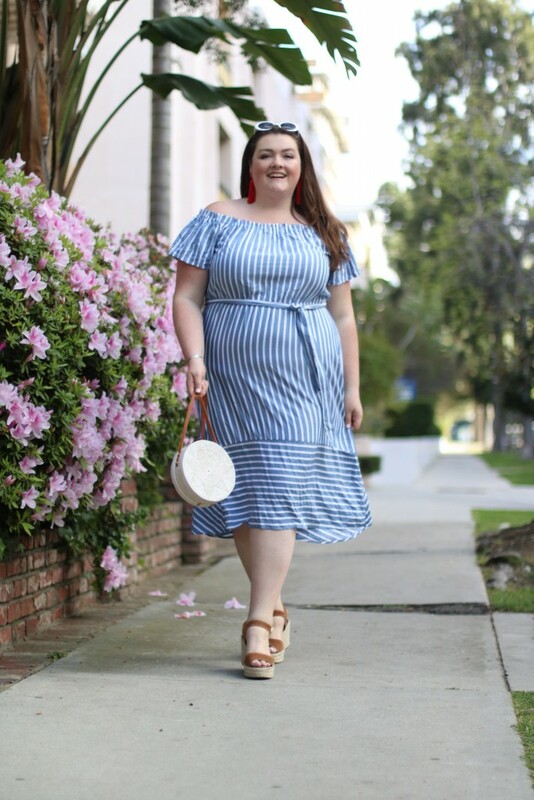 Here at Lovely in LA, we love spring for a multitude of reasons, and today, we’re going to show you why we’re loving LOFT right now. For those you who haven’t tried LOFT yet, they are now size inclusive and have some great, stylish pieces in all sizes that will carry you from work to weekend or happy hour, whatever you chose. I’ve selected the top spring items that you will regret not buying once you see them. Prepare yourself because your online shopping cart is about to get really full. Below I’ve broken down my all favorites; tops, dresses and everything in between from LOFT this spring season. First on the list, this gorgeous green wrap top. This one is a winner for several reasons. The fit is on point, the color is oh so spring and who doesn’t love a good wrap top. This top will for sure carry you through summer too, which is a win win in my book. 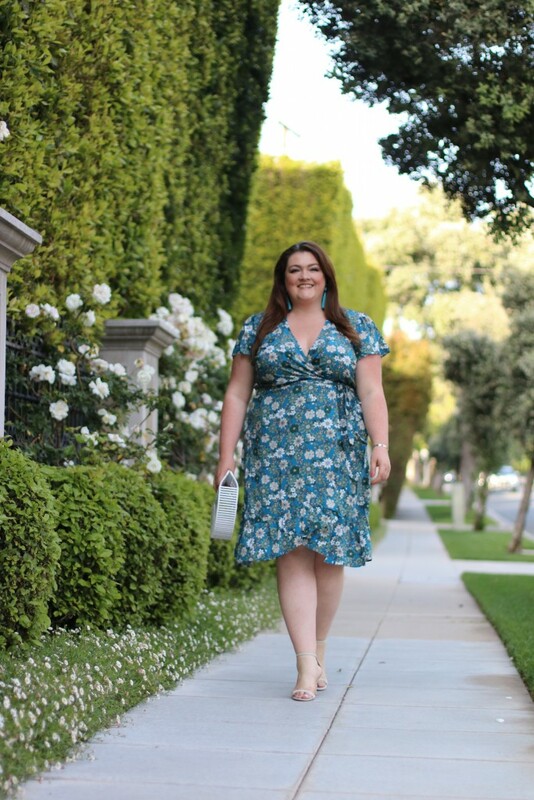 Continuing with our wrap theme, this Beach Floral Tie Neck Flutter Dress is oh so right for spring. With a great fit and a bit of a 70’s vibe, this dress is sure be on rotation all season. Next up, this beach mixed stripe off the shoulder dress. 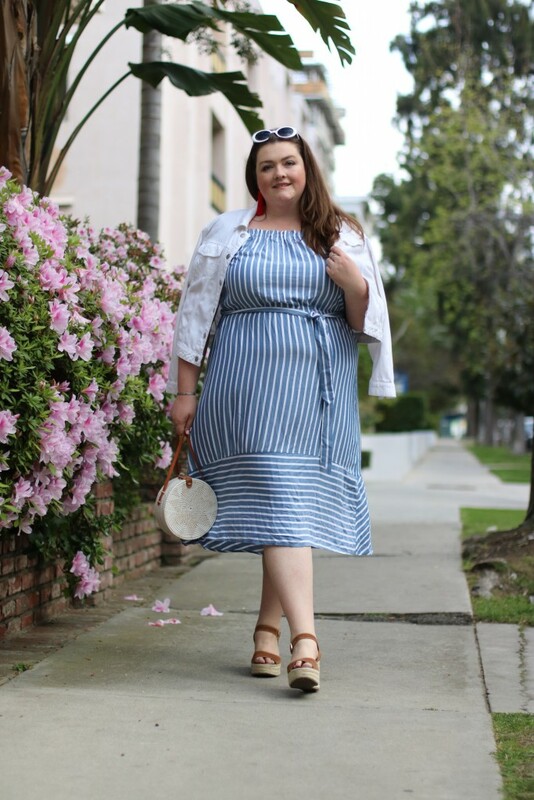 A favorite trend of mine for spring and beyond, this striped dress can take you from the weekend farmers market to the beach. True to size and super comfortable, style this with a red earring and casual wiker bag. Another favorite, the distressed white denim jacket, goes perfectly withi this look too! Another favorite of mine in the color of the season, is this green flowerbranch shirt dress. Easy breezy, this loose fitting silhouette that still drapes just right to give you enough shape. This dress can also be easily layered with a denim jacket for cooler days. Let me know what you guys think? Have you had a chance to try LOFT yet? Below you can shop my favorites from the recent collection!